Thamyra Miranda began his career in dance in childhood. 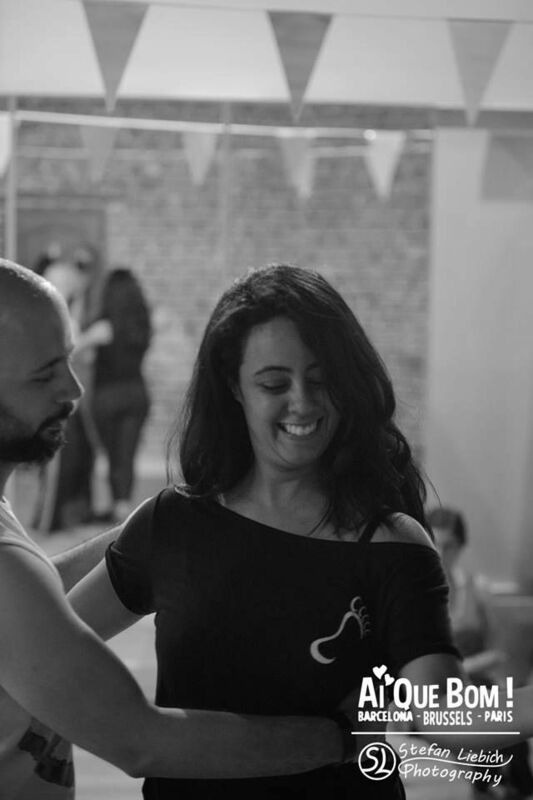 Since then she participated in several activities aimed at improving her relationship with the body: Jazz, Classical Ballet, Contemporary, Ballroom Dance, Urban Dance, Acting, Music, Contact Improvisation and also several courses for training in the area of Forro, Popular Brazilian dances and Ballroom Dancing. 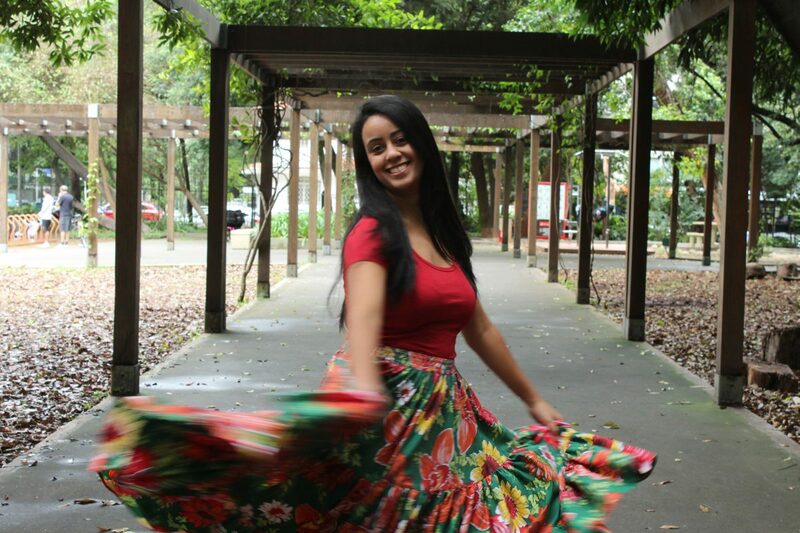 She has a graduate diploma in Dancing at FMU, with an emphasis on Arts, Sport and Education, and also perfects her studies at the Training Course on Ballroom Dance Teacher Jaime Arôxa, Course for educators at Instituto Brincante and Dancing School at Theatro Municipal of São Paulo. She is currently Director and Teacher at Pé Descalço School, São Paulo unit, where she teaches and promotes laboratories, physical and social experiences for students. Develops, in parallel, the PD Social project, which offers scholarships, professional, artistic, human and personal development, young people from disadvantaged classes. Since 2014, teaches and participates in several workshops and forró festivals in order to research and promote culture in other regions of Brazil and the world, such as: Rio de Janeiro, Belo Horizonte, Espírito Santo, Santa Catarina, France, Belgium, Germany, Switzerland and Russia. She was judge in Forro championships in Brazil, such as: the prestigious Copa Brazil Forró, in 2015 and 2016. In 2016 also began its participation in the Terceira Categoria dance group, which is developed in-depth research on the scenic dance through forró language. Traveled to various regions of Brazil researching the Forro and popular Brazilian Dances. Her current focus is to continue to research, foster and develop Brasilian popular culture and dance.